Don't let the glass fool you, this is a pint of Kilkenny, an Irish cream ale also made by Guinness. I’ve always had a bit of a love affair with St. Patrick’s Day. With my birthday being the day after this wonderful holiday—not to mention an Irish family background and certain affinity for the color green—it seems that me and St. Patty were meant to be. Since I was little, every one of my birthday celebrations has had some sort of St. Patty’s Day connection, but my 21st birthday was when the real fun began. 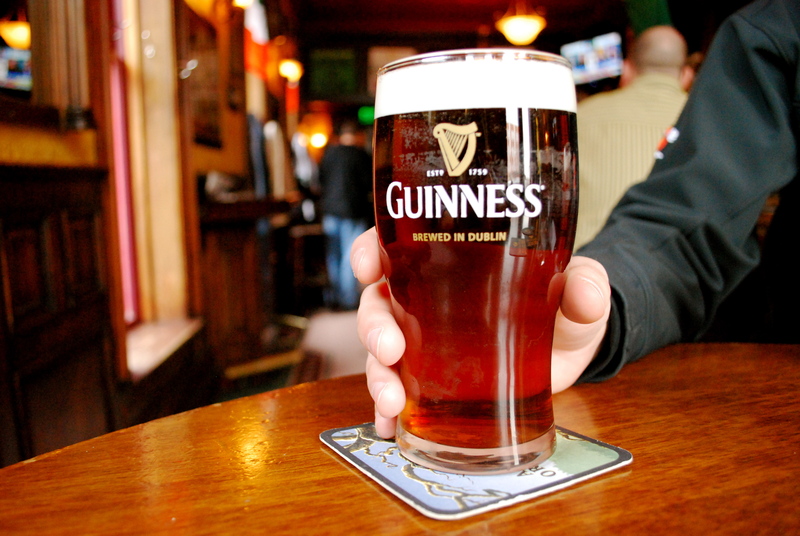 I couldn’t wait to celebrate the occasion with a pint of good Irish beer, and all things considered, a love for Guinness should run deep in my veins. Sadly, I discovered, it just isn’t so. For some reason, the most Irish of beers just isn’t my type. 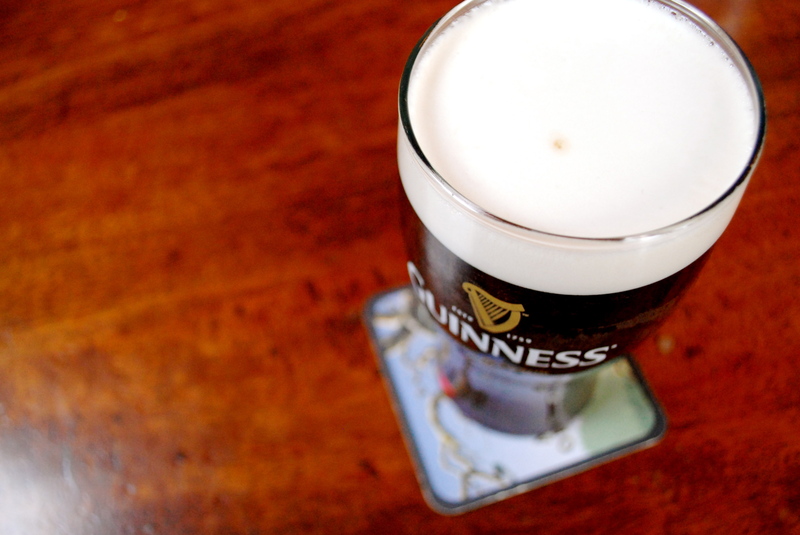 (Sorry Guinness, it’s not you, it’s me.) But I refuse to be left sipping cider on the national beer drinking holiday, so I decided to try Kilkenny, a cream ale made by the same company. While Guinness has a deep, dark brown color and strong roasty flavor, Kilkenny is lighter, with more subdued malt and hops. It’s poured from a nitrogen tap, like its counterpart, giving the beer a smooth consistency and a rich, creamy head that forms when the nitrogen bubbles release and rise to the top. Instead of the bitter, coffee-like notes that I dislike in Guinness, Kilkenny has light notes of caramel that add sweetness to balance the bitterness. Pair this delicate beer with a traditional Irish feast of corned beef and cabbage or nibble on a plate of assorted cheeses including sharp cheddar and Blue. The strong flavors will complement this muted brew. You can even try substituting Kilkenny in recipes that call for Guinness, like this Marinated Flank Steak, for a subtle flavor. Hannah Doolin is a senior magazine journalism major at Syracuse University who hopes to one day explore her Irish roots by having a pint at a pub in Doolin, Ireland.